It will be Mother’s Day in a week and for many this will be a day of remembering and celebrating a mother’s love. Although my mom went to be with Jesus many years ago (when I was 7 years old), I continue to cherish the love she gave me. I was able to revisit the memories of my mother while in a local Christian bookstore the other day. The owner inquisitively asked me the story behind my name (Charmé). So, I began to share my personal story of God’s amazing love, which really began with a mother’s love. While pregnant with me, my mom received a letter from my father, who was stationed in France as a fighter jet pilot for the U.S. Air Force. He had heard and liked the name Charmé. Shortly afterwards, my father died when his plane crashed while attempting an emergency landing. Six months later I was born and my mom named me Charmé. The next seven years I lived with my mother in the United States. We also traveled several times to visit my grandmother, who lived on Guernsey Island. While most of these memories were formed through the pages of a yellowed photo album, I have many others of my mom holding me in her arms and rocking me in a striped orange rocker. Funny how that 60s rocking chair holds such warm and loving memories for me. Sometime during the first grade, I remember having to stay with a kind neighbor (Mrs. Abel), while my mother began making numerous trips to the doctor. 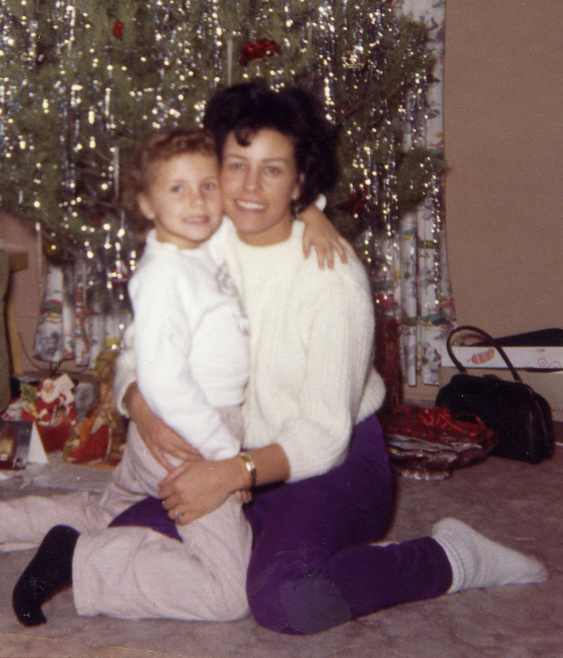 At this time, I had no idea that my mother had been diagnosed with cancer. Within about a year or so, the yearning for my mother’s love and tender touch increased, as I experienced fear and confusion with her increasing absences. Sadly, the last memory I have of my mother, was seeing her in a wheel chair, wearing some type of turban on her head. I don’t remember ever saying “good bye” to her; with now clearly understanding why my family tried to shield me from her pain and sorrow during her final days on Earth. My mother, Audrey Eileen Lewis, went home to be with Jesus October 15, 1964. And this is where I love telling another love story. The story of God’s amazing love for a very sad and lonely little seven-year old. Not too long after my mother’s death, I went to live with my paternal grandparents, who raised me until I married my husband, Jeff, in 1975. Another love story for another time. God’s love became real to me while lying in my bed at night, crying myself to sleep. I still remember the warmth and calm that enveloped me during those early days of great grief in my heart and life. As I look back upon this time in my life, I am reminded of God’s steadfast love and unfailing faithfulness in my life. Skipping forward several years into my early married years, with three young children at the time, and being a fairly new Christian, I learned more of God’s amazing love through the discovery of an old suit case. While cleaning out my grandparent’s basement, I came across my mother’s suit case. I’ll never forget this remarkable moment in time. Opening it with Jeff by my side, I discovered many special items, her jewelry box, which held her engagement ring (that I now wear), along with some handmade gifts I had given to her as a young child, and her funeral book. As a new Christian, I had begun to wonder about my mother’s salvation. While going through my mother’s funeral book, my question was answered. Pastor Alvin W. Mueller, who officiated my mother’s funeral, had typed his sermon and eulogy and attached it to her funeral book. As I began reading through it, tears filled my eyes and the presence of Jesus filled me to overflowing as I read these words. Praise God, the One who brought love and comfort to me as a frightened orphaned little seven year-old, and who gave to me this beautiful gift. To have the assurance that I will be reunited with my mom again some day, in heaven. As, I too, received the wonderful gift of our God’s salvation by receiving Jesus as my personal Lord and Savior over thirty years ago. A mother’s love is part of God’s plan…to give His children just a glimpse of what God’s love is like. I look forward to the loving and warm embrace of God, my Heavenly Father, and also to hug my mom again. This Mother’s Day, be sure and thank God for your mother.